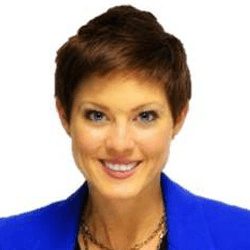 Laura Hall brings to her affiliation with SOAR Performance Group expertise in the areas of Digital Marketing, Social Media, Social Selling, and Sales Effectiveness. She has held various sales and marketing leadership positions where she has honed her skills and delivered results by connecting the dots between technology, relationships, and the sales process. She believes that tapping social media’s power isn’t optional anymore – it’s essential. Laura has a diverse set of experiences to pull from. She has spent time as the Managing Director of a professional sales organization, Strategic Marketing and Digital Manager at Cox Communications, Sales Force Effectiveness Consultant at Aon Hewitt, Senior Project Manager in Talent Management at McKesson, and in advertising sales at FOX. Laura looks forward to your challenge and creating a social media strategy to drive growth. Laura has a MBA from The Georgia Institute of Technology and a BA in Communications from The University of Georgia. Laura is also a certified personal trainer. She lives in San Diego, California and enjoys running adventure races in her free time.